John Heffron, winner of the second season of NBC’s “Last Comic Standing” stopped by to talk to Frankie. 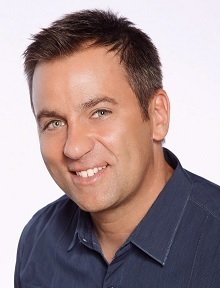 John Heffron captivates audiences with diverse material that ranges from his bar hopping adventures in his twenties to married life in his thirties. He’ll be at Goodnights Comedy Club on Friday, Jan 27th and Saturday, Jan 28th. Buy Your Tickets Now!